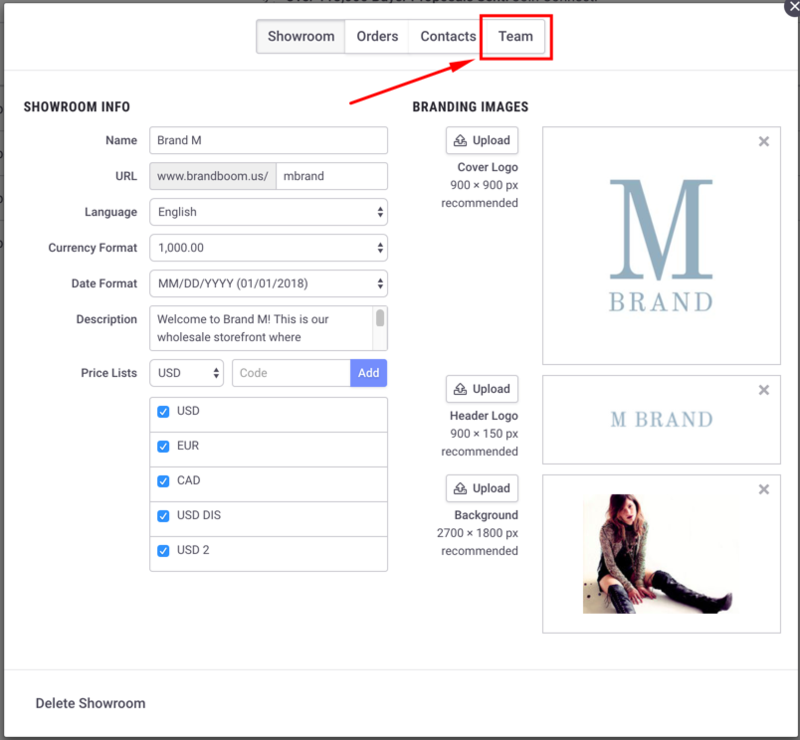 Click the Showrooms button to open your Showrooms Panel and click "Showroom Settings". 2. When the Showroom Settings panel appears, switch to the Team Settings tab. 3. 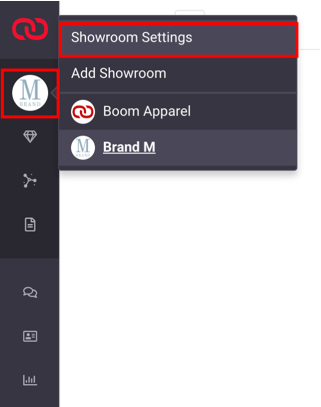 The Team Settings page shows you the users in your showroom, allows you to invite/kick users, and lets you manage their permissions.